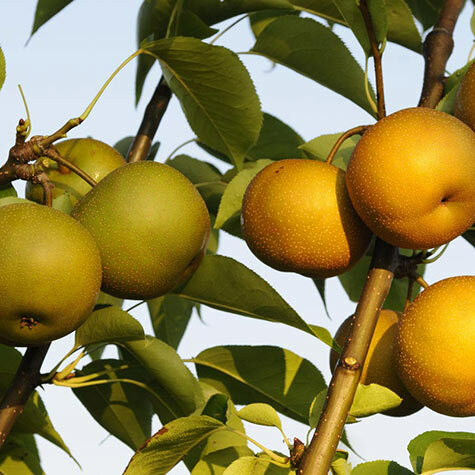 Grow Pears Two at a Time! Comments: Chojuro has a crisp texture and rich butterscotch flavor. Drippin Honey is delightfully crisp and honey sweet. Fruit has long storage; 6 months in common refrigeration. 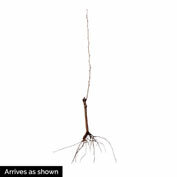 Tree has excellent resistance to disease and many insects. 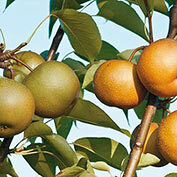 Extend your harvest season and get 2 tasty pears on 1 tree! RESTRICTED STATES, AE, AK, GU, HI, PR.